No two venues are exactly alike. 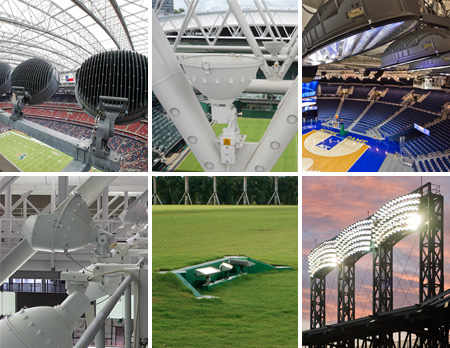 Whether it’s an NFL stadium or a small park field, it may need a customized solution, which is what we deliver through our special build capabilities. Our experienced staff use Musco’s industry-leading lighting solutions as a starting point, guaranteeing the same high quality and precise light control customers around the world have come to expect. We’ll find ways to integrate our systems with your existing structures and architectural plans to ensure you’re getting a solution that meets your unique lighting, structural, and electrical needs. Your field, stadium, or arena lighting system will be factory assembled, aimed, and tested to ensure streamlined installation, trouble-free operation, and reliable, long-lasting performance.